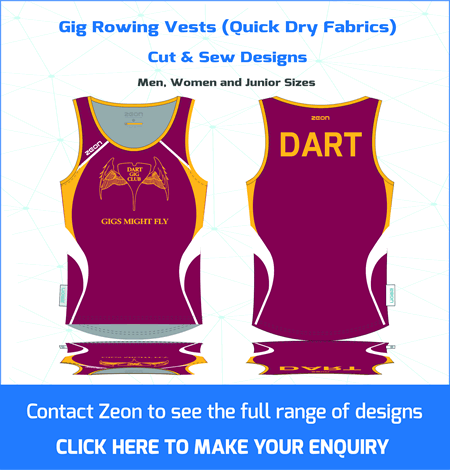 Suppliers of Custom Made Gig Rowing Kit. 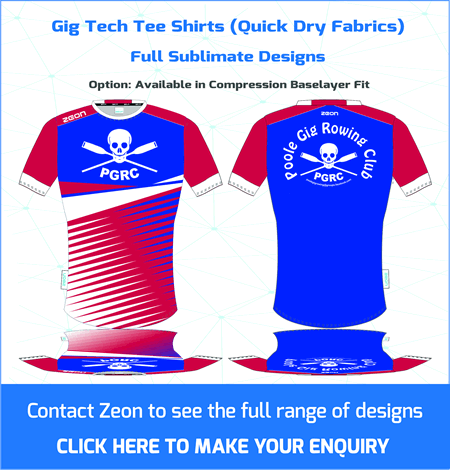 Scroll through the slides below to see the full range. 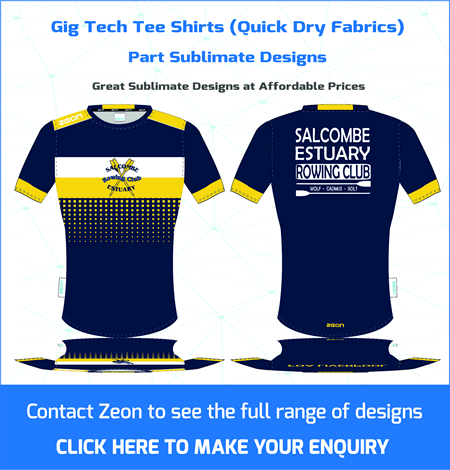 Gig Racing Tees are Custom Made at our Sedex Accredited* factory in China – Delivery 6-8 weeks. 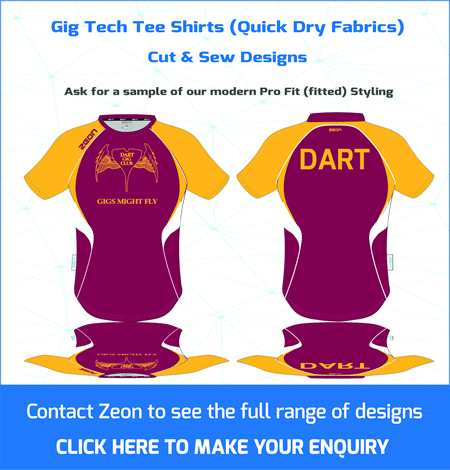 Gig Rowing Racing Tee Custom Made in your Club Designs. 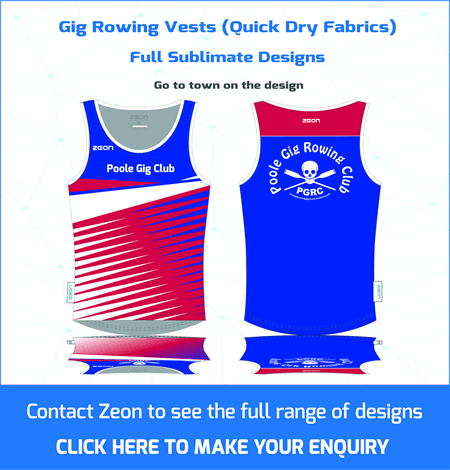 Zeon has developed an exclusive range of Gig Racing Tees and Vests. 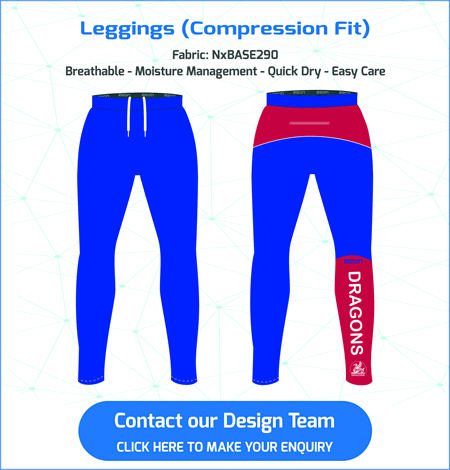 Garments are made for performance and comfort using modern fits and the latest technical fabrics (quick dry and breathable). 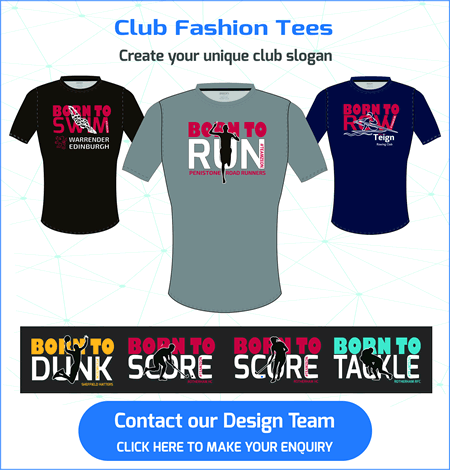 To keep warm off the water we have a range of hoodies and waterproof jackets custom made in your club design. 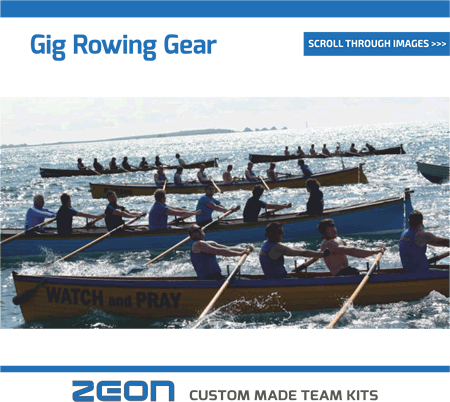 Pilot gig rowing has its origins in Cornwall used to help larger vessels to navigate a safe passage, to trade with those same ships and to help rescue those in danger from sinking ships. 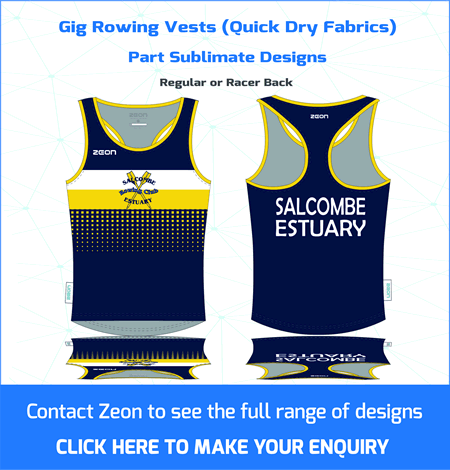 Modern gig boats are taken from a traditional design and follow the original specifications as laid down by the Peters family in the form of the gig Treffry (1838), which is still actively rowed by the Newquay Rowing Club. 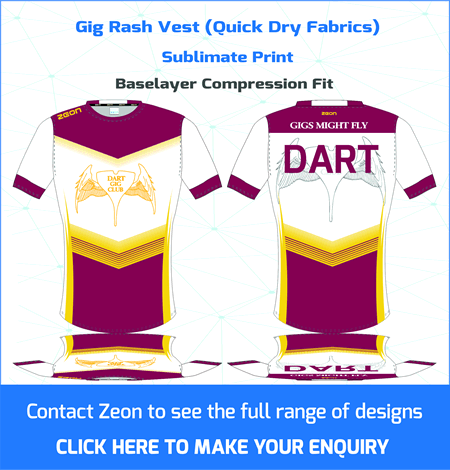 Contact our design team to start the process – click here.